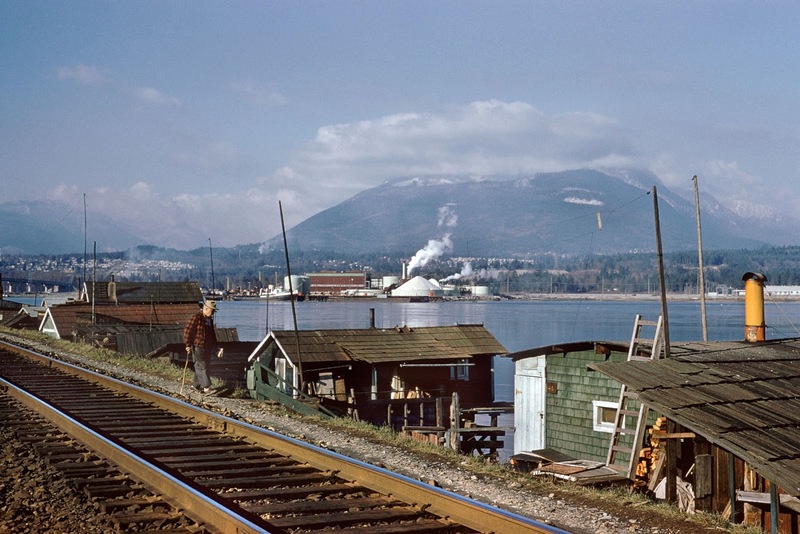 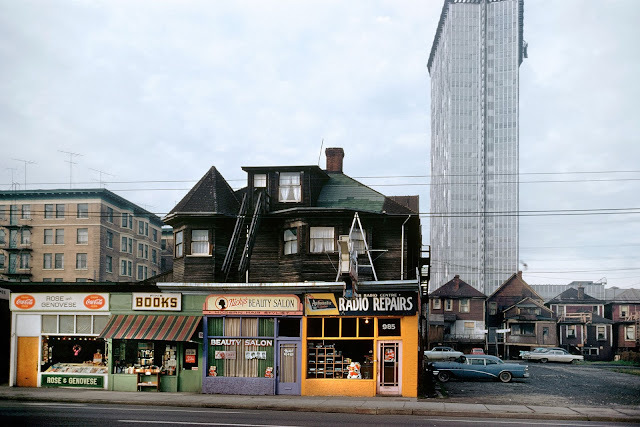 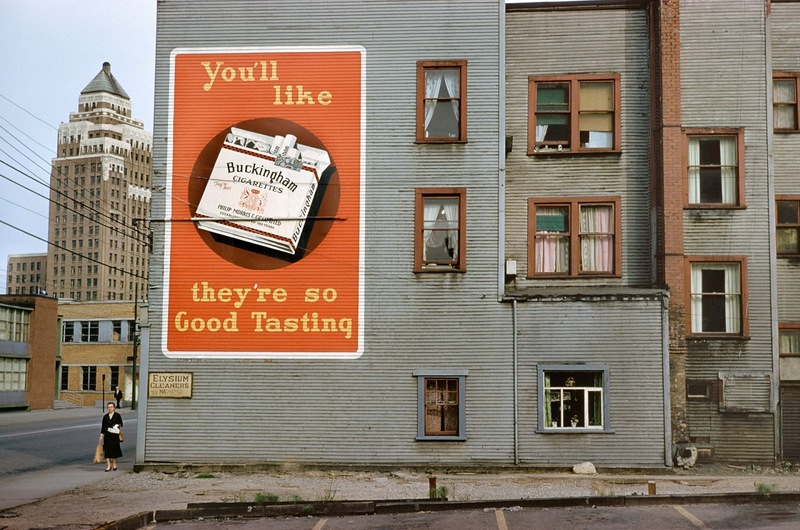 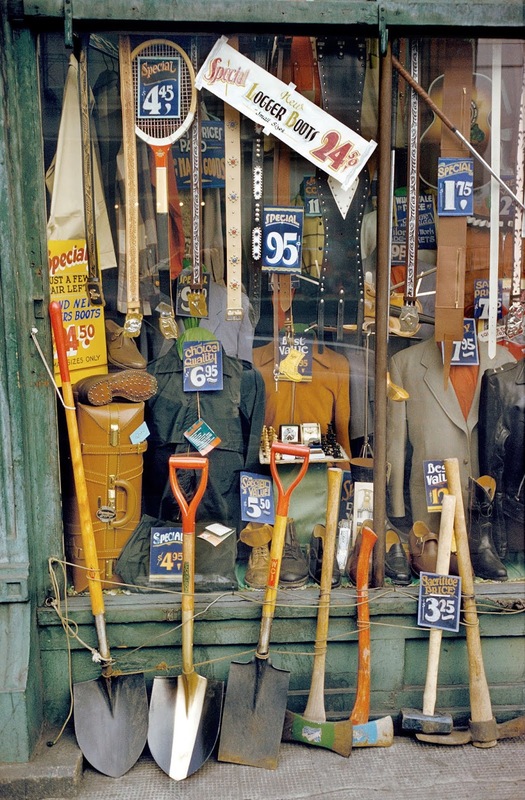 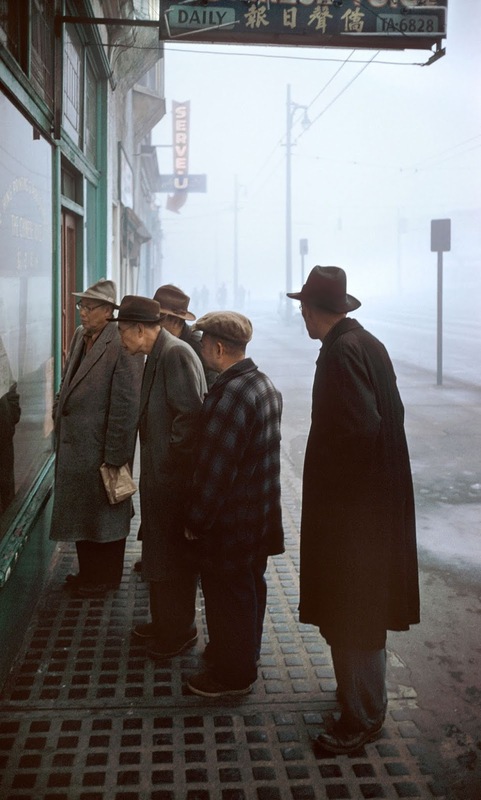 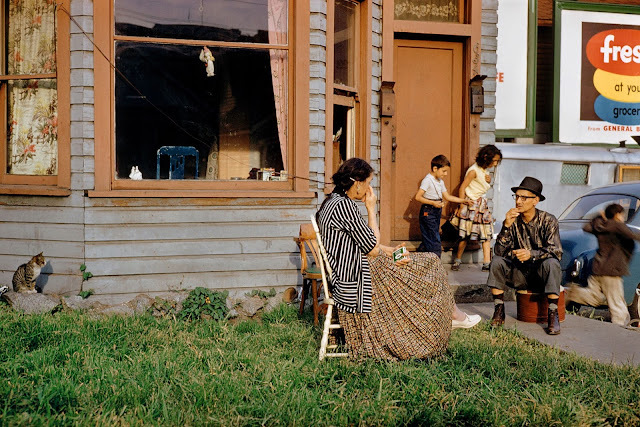 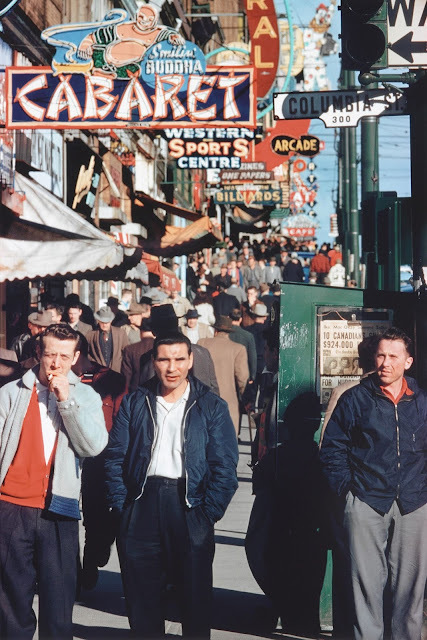 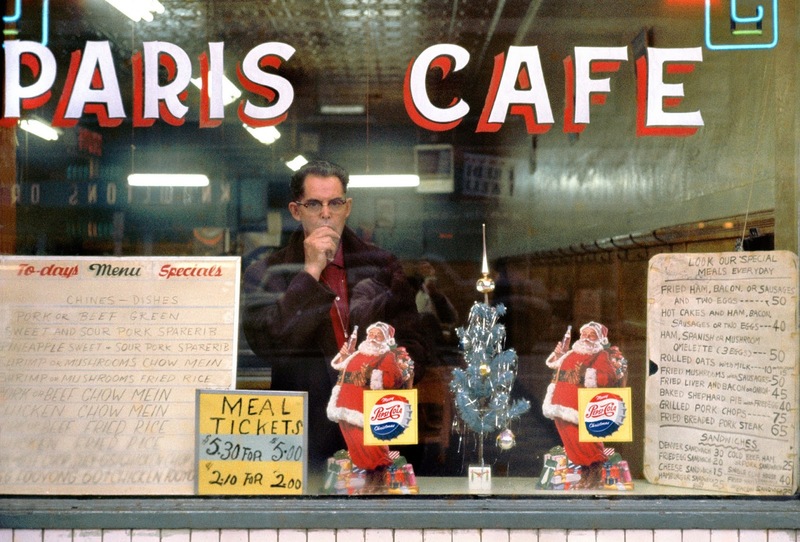 Fred Herzog arrived in Vancouver in 1953. 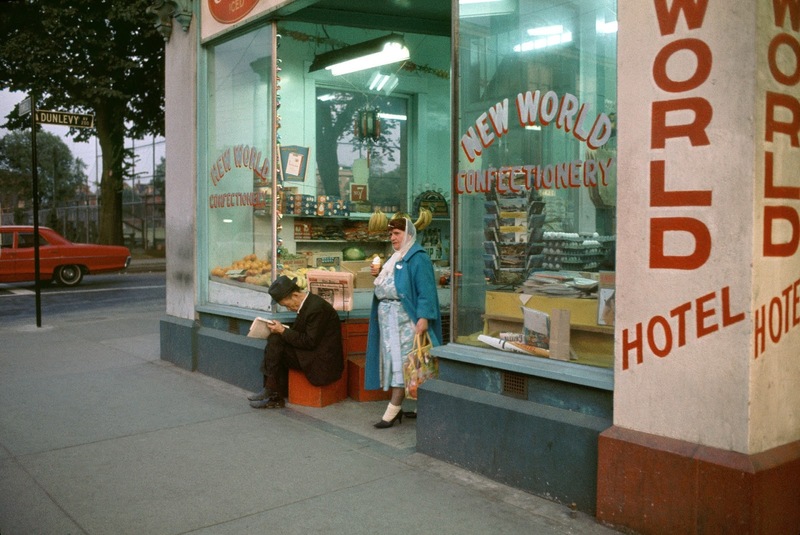 The young German immigrant was fascinated by all aspects of Canadian life, and set out to document it with his camera. 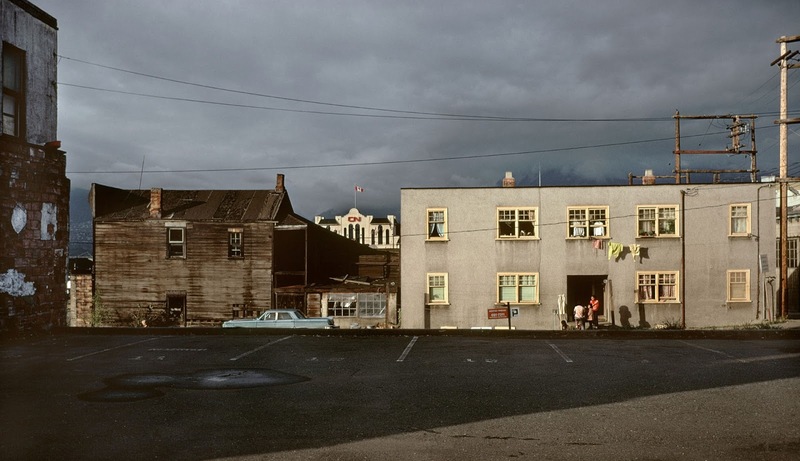 He worked as a medical photographer by day, and on evenings and weekends he took his camera to the streets, documenting daily life. 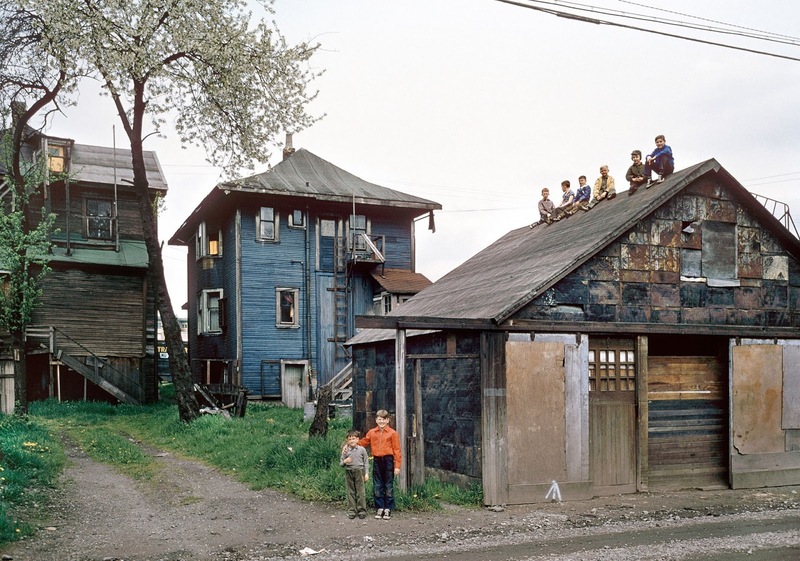 A pioneer of color photography, Herzog largely worked with Kodachrome, a slide film that was tricky to use in a spontaneous fashion, and required expensive developing in specialist labs. He was never able to make satisfactory prints from his slides, but digital inkjets have enabled him to print and exhibit early work.